You can use AFerry to book a Bulgaria Fast Ferry around Bulgaria, along the Bulgarian Black Sea Coast. 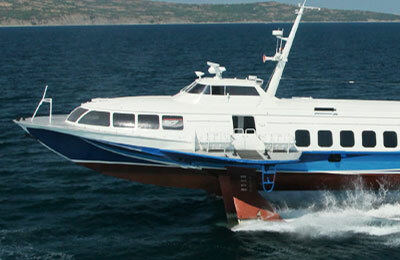 The service belongs to Bulgarian Hydrofoil Ltd. which was established in 2011 with the aim of proving fast, comfortable and attractive ferries to the Bulgarian coastline. 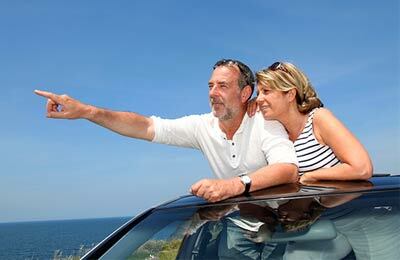 You can use AFerry to book Bulgaria Fast Ferry ferries to Nessebar, Pomorie and Sozopol. For all Bulgaria Fast Ferry routes and the latest prices and sailing times see below. Click on your ferry route for a detailed timetable with arrival and departure times. The capacity of each ship 126 passenger seats, made up of three saloons, all with air conditioning. On board there is a vending machine serving both alcoholic and soft drinks. The Bulgaria Fast Ferry fleet is made up of hydrofoil speed ferries, so while facilities are sparse the journeys are short and the experience alone will keep you entertained. Bulgaria Fast Ferry ships have an average speed of approximately 60km/h, classifying them as high speed boats. 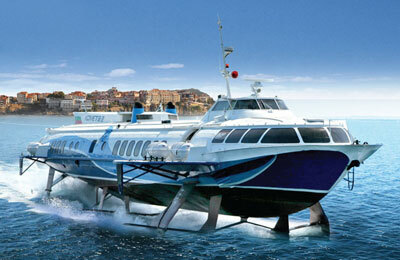 The hydrofoil technology allows them to "float over the water" making for an exciting experience on board. How long before departure should I arrive for Bulgaria Fast Ferry?